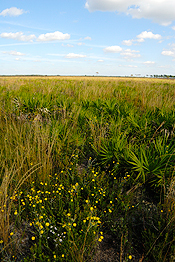 There remain today virtually no pristine examples of the biological communities that constitute Florida's natural landscape. There are still some places, however, where the ecological condition of existing natural communities is of sufficiently high-quality that these select examples can serve as models for that community type. As models, each reference natural community exhibits the species diversity, species composition, physical structure, and general ecological integrity expected for that FNAI natural community type. Reference natural communities provide a standard against which to measure the condition of similar communities—a starting point for establishing desired future conditions to inform land management and restoration. 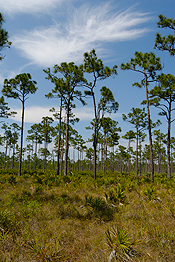 These data augment the Guide to the Natural Communities of Florida, 2010 edition. FNAI has identified 68 reference sites for ten natural community types for which we developed detailed descriptions and quantitative characterizations that are presented here in an interactive map. 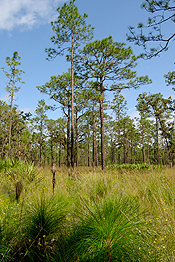 Emphasis in this first phase, which was funded by the Florida Fish and Wildlife Conservation Commission, was given to actively managed natural community types to support FWC's adaptive land management decision support tool—Objective-based Vegetation Management. Multiple reference sites were identified for each natural community type across the community's geographic range to account for expected regional variation. 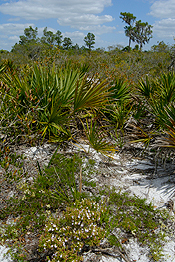 Similarly, multiple reference sites were specifically identified to account for natural variation in species composition (e.g., oak scrub and rosemary bald). 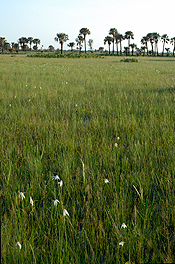 All reference natural community sites are publically accessible.